A Nigerian lawyer, Mr Tunji Abayomi, on Monday gave instances of corruption in Nigeria’s judiciary, which he said had become a culture in the third arm of government. 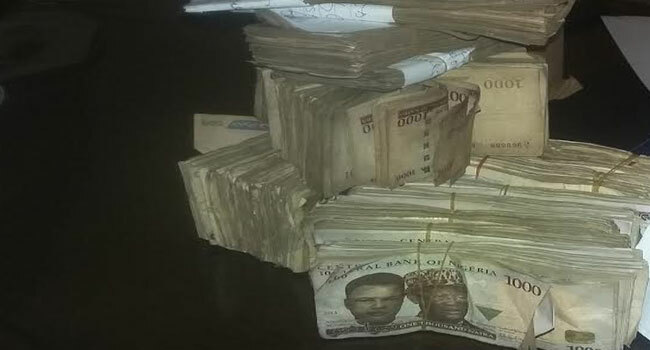 Giving instances he said were connected to cases he had handled, Mr Abayomi said a while ago, a case that he had secured execution for was brought back to court and a judge stayed execution after he had allegedly collected money. “I was handling a case in one of the courts of the federation and we won the case. “Another judge handled the case and we won. We now applied for execution, judge B directed execution, the court bailiff executed according to the directive of the judge, but the judgement debtor broke the chain. “The judgement debtor now went to court to apply for stay of execution and the judge, who could not look up on the day of hearing, read an order staying the judgment the court had executed. “It is so bizarre and strange,” he says. He alleged that the registrar of the court had told the son of his client that the judge who stayed execution collected 300,000 Naira to stay execution. “This is a judgement that was validly given, executed and by the order of court, the judgment debtor broke all the chain and took money to the judge and the judge is aware that the judgement of the court is disregarded. “Naturally you begin to wonder, what is going on?” he questioned. He mentioned the issue of influence, as another corrupt inducing tendency, citing another case he had handled for which a judge involved was given a car gift by the defendant. “The level of corruption in the judiciary is a culture. 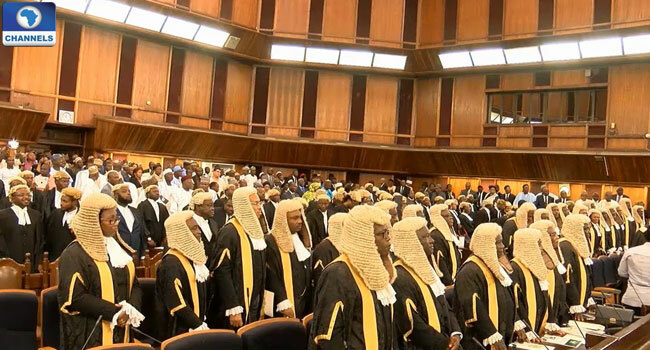 “The Nigerian judiciary is manifestly corrupt. I have been speaking about it and I am sure I have said it in this particular station,” he stated. Mr Abayomi further said that some registrars of lower courts build houses for judges in the Supreme Court, as gratification. The lawyer also described another level of corruption in the judiciary as “sexual corruption”, explaining that there are judges in the states who employ mostly women in the magistrate courts. “They keep forcibly having affairs with them, harassing them, including married women. 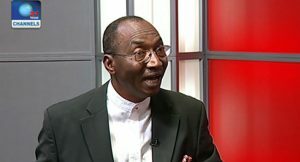 “A married woman came to me and told me that this is what happened to me and that she had to tell the husband and said that the husband had no job and that if she does not agree, the judge will sack her,” he told Channels Television while giving his opinion on the arrest of some judges by security operatives. On the arrest of the judges, the lawyer pointed out that for the Department of State Services (DSS) to arrest judges, “we must simply accept that it must be based on some credible evidence”. He suggested that the judges should voluntarily resign. “The nature of a judge is such a fundamental aspect to the development of justice in the state such that if there is even an allegation at all… if there is substantial issues, I will say the judge should voluntary resign. “A lawyer is expected to stay away from impropriety and an appearance of impropriety,” he stressed, quoting from the judges’ code of conduct. “There are lots of politicians in Nigeria who put judges on pay roll, but it is in the code of their ethics that they should stay away from appearance of impropriety. “Why is it that we have not heard a statement from one of the judges, insisting that he should be taken to court?” he questioned. He insisted that the nature of their job required that they could be pre-judged to ensure that corruption does not exist in the judiciary. Suggesting solutions to the ‘culture of corruption’ in the judiciary, the lawyer emphasised the need for a guard for the judiciary, a function that the National Judicial Council (NJC) is saddled with. He stressed that the NJC should be empowered and be conscious of its responsibility. The NJC had said that it has started investigations into the complaints against seven judges arrested by the DSS on October 7 and 8, even though it has not received a formal complaint from the DSS against the judges. But Mr Abayomi insisted that the NJC do not need to wait for a petition from the DSS before it would perform its functions.